A couple of years ago, I was that mom so many of us know. Always running, never resting—operating on empty. I was serving in my church, volunteering at school, attending PTO meetings, running a business, driving my kids to practice after practice, and more. I said yes to almost everything that was asked of me, and on top of that, I asked plenty of myself. Now, when I look back on pictures from that time, I can see it in my eyes; I can see how depleted I was—how hopeless I felt. I thought this level of performance was the only way to be. I was tired of it, but I couldn’t see an alternative at the time. As women and mothers, every day we’re bombarded with outside voices telling us where our attention should be focused. Charity organizations, social media, work commitments, school fundraisers… The directions in which we’re pulled are endless. 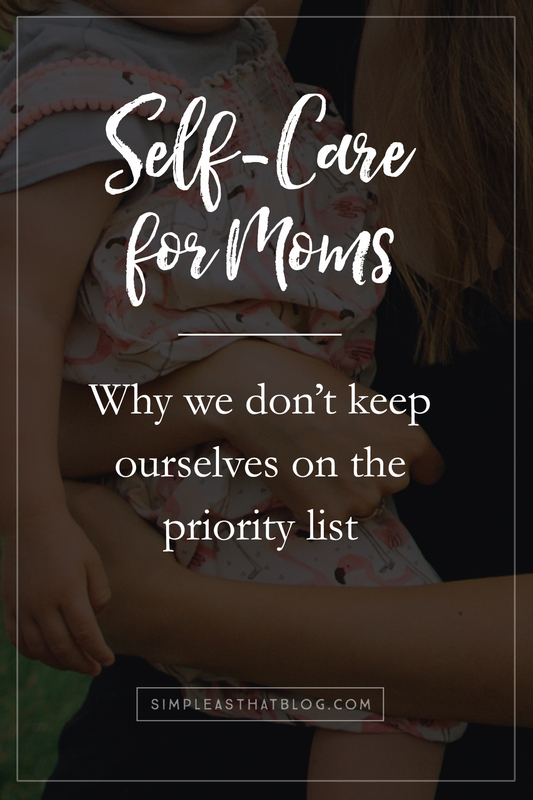 As moms, we’re notorious for not valuing our own rest. My question today is—Why? Why don’t we keep ourselves on the priority list? Do we feel pressure to keep up with the achievements of women we follow on Instagram or watch in real life? Do we think that our value—our worth—is tied to how much we can get done in a day? 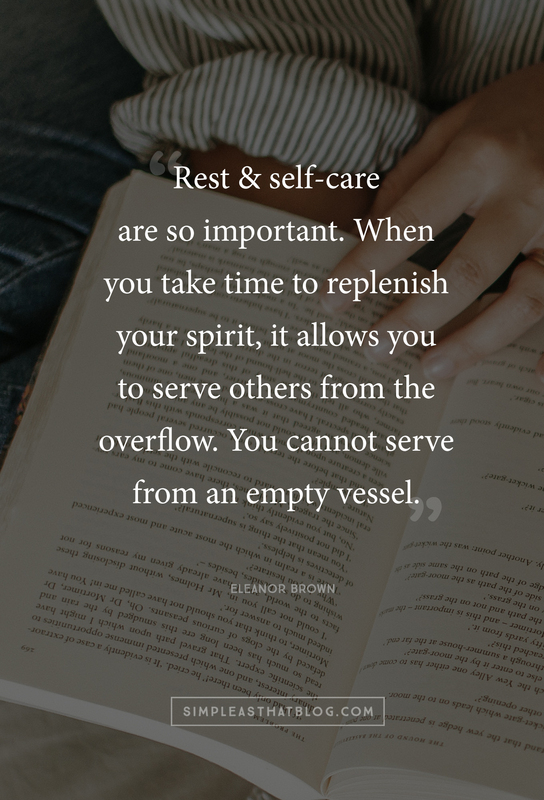 Do we believe that we’re somehow not as deserving of rest as our children, our spouse, and everyone around us? I think it’s a combination of all of these, and I’m here to tell you—It’s hurting us, and no one can operate on empty forever. Whether it’s our physical health, our mental health, our relationships, or something else altogether, eventually something will slide. In the months since my health first took a turn, I’ve begun practicing the difficult but essential art of silencing the outer noise and tuning in to what I know in my heart is right for me. Through yoga, journaling, and prayer, I’m finding pockets of peace throughout my days instead of pushing through, like I used to. And I’m giving myself permission to sleep instead of telling myself I can do without. ⁣It’s when I’m really listening to the voice inside of me that I find the peace and inner conviction I crave. 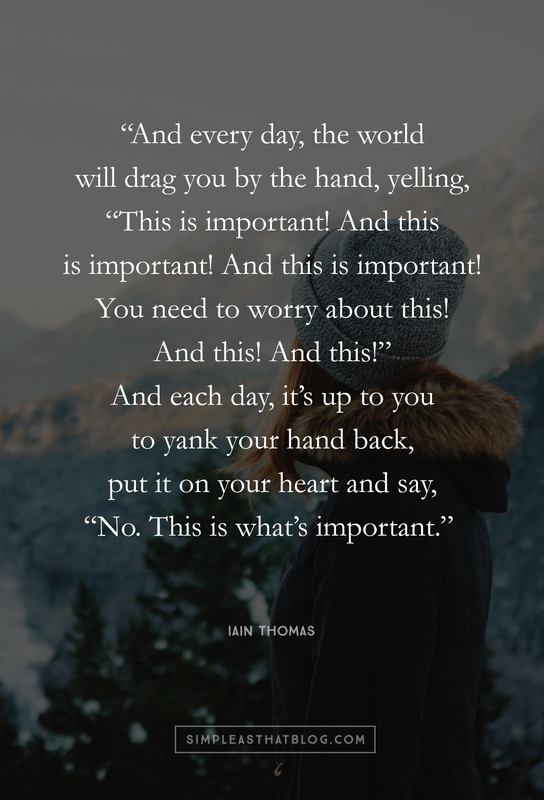 So friend, if the voices around you are so much louder than the voice inside of you, let me be the one today to encourage you to pull back your hand and insist that THIS is what’s important. Commit right now to learning to hear your deepest voice and to waking up tomorrow and the next day and the day after that prepared to hold to that conviction. You matter, friend. 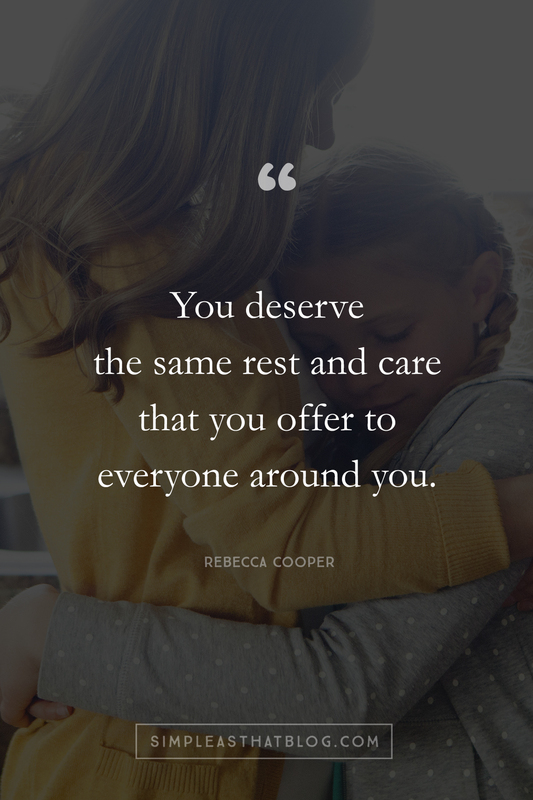 You deserve the same rest and care that you offer to everyone around you. Now that I’ve shared some of my story, I’d love to hear yours! What keeps YOU from prioritizing your own physical and emotional needs? How are you making small steps toward physical and emotional wellness? Love this. Thank you for sharing Rebecca. I need to read this over and over. I am a year and a bit past cancer treatment. I also worked from home. And had a craft business. Volunteered at church, always said yes. Cancer made me say no. To everything. I changed jobs and now work 4 on, 4 off. I try to take one of those days for me. I still say no. My work days are 10 hrs on my feet. I need my days off to rest and catch up. My kids are 18 and 20 and I still fall into the no self care every so often. My 20 year lives on his own yet I still have my 18 year old with me. Most days he does his own thing at work, with hobbies and with friends. Yet whether he is around or not I’m always thinking about how I can enhance his life and what he needs. This is noble yet I know I need to step away some. This takes me away sometimes from what I need to do for me. I’m slowly moving away from this pattern but it’s not easy. As a mom I’m just not sure if I ever will change my mindset. But I can say, I’m shifting. I make time for myself and I have boundaries with my kids. I want them to see that moms need their time. I too was forced to slow down due to an auto immune disease, Lupus. Still a struggle everyday to say no to the outside and yes to my inside. My body reminds me through flare ups – an outer reminder of inner chaos. I’m working at it! I appreciate your gentle and intentional reminders! I’ve felt the same about my autoimmune illness Cynthia – like its a visible barometer of how much I can and can’t push myself. My body lets me know and I’m still learning where my “sweet spot” is. Praying daily that I can gage how much I should take on and what I need to let go. I really needed to hear this. You know, I honestly caught myself this morning berating myself for not finishing a blog post ABOUT SELF CARE, because I’ve just been so tired and busy. Talk about missing the point! Time to come back to center and retreat a bit to gain some perspective. Thanks you! I’m so grateful of reading this. I’m working at it! I appreciate your gentle and intentional reminders!